Limiting access not only limits production but it also limits our knowledge about the resources we have. Government estimates of resources in Alaska, the Atlantic and Pacific remained flat over the past seventeen years, but estimates for the Gulf of Mexico have increased dramatically. Why? Because that’s where production has been. When oil and natural gas companies are allowed to look for oil and natural gas, they find it, and the statistics become more than just guesses or estimates. 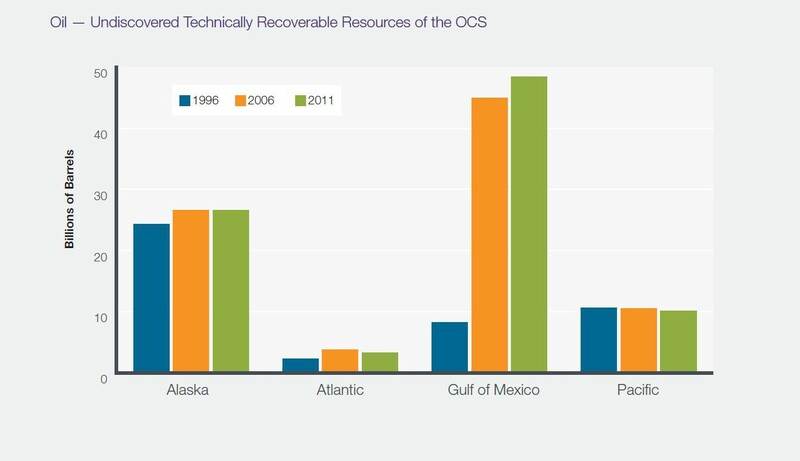 That's why the important number in the president's proposed five-year plan for offshore oil and natural gas development is that only 6 percent of the outer continental shelf (OCS) is open to actual drilling operations. And if you can't drill for oil and natural gas, you can’t know how much you have.